So, what is Easy Cash Concepts? Are you fed up with scams? Do you want a real method to make money online? Is Easy Cash Concept really what it’s claiming to be? Can you really make $12,000 per month from home? I am subscribed to a lot of (probably too much) email newsletters. Just the other day, I received one that had a big headline saying that hundreds of ordinary people just like me are making over $12,000 per month from home with this brand-new money making system. I clicked on the email link and got to this kind of newsletter. At first look, it seemed like a legit news website, but as you will soon find out, this is just a big front. Before I go any further, I would like to congratulate you on taking the time to review this “opportunity” before trying it out. In my review, you will be able to make a much more informed choice. I have created this website to do just that: help people find real opportunities to make money online. There are so many choices and so many fake programs on the internet today that anyone who wants to start a legitimate an online business is flooded with information good and bad. The problem is to know which one is which. The internet is full of ugly and fake systems and the fact that you are looking for information before buying into this money-making system makes you one step ahead of all the others. This is where I come in. I do the research and give you real and honest facts. So let’s see what this system is all about. Owner: We have no clue, however, it says that the “article” was written by Amanda Winston whoever she is. Like I said before when I first looked at the website page, I saw something different from systems I’ve seen before. What they try to do here with their “splash page”, is feed you with what you want to see and hear. They make it look a lot like a News website. But there’s nothing on this website that is actual news. So basically it’s a sales page, not a news website! The (most probably fictitious) story/article starts with a “Jamie Taylor” who filled out a simple online form and discovered a “secret” to beating the recession and be able to provide for her family. The article’s author “Amanda Winston” says that she read Jamie’s blog and decided to feature her story in their weekly Consumer Report. You know what? This is a BIG RED FLAG!!! There are only small differences like the “cash” picture is not there, and the lady in the picture is now Karen instead of Kerry! I have read tons of reviews about “Online Web Cash” system back in the days I was still searching for an online business opportunity, and this one was qualified as one of the worst systems you will ever come across. Of course, I did not buy it back then, but when I saw that web page today I recognized the similarities right away. I can only assume that Easy Cash Concepts is made by the same individual trying to make more money out of the same old unethical “get-rich-quick” crappy system. Getting back to Easy Cash Concepts, there are only really two main pages on this website. The first is the “news articles” and then you click on the link provided and you get to that page that collects your personal information, a lot of personal information including your phone number and address. Actually, it doesn’t really matter where you click on the first page, you will always be brought to the second (Check for a Spot in your Area) page. They are all linked to the same page where you enter your information. Right then and there I knew I was into a big scam. You end up providing them with your all your personal information and they spam you like crazy from that day on. I don’t know about you, but I would never give a strange system like this my phone number and/or my home address! On top of that, they will probably sell your information to someone else in the bargain. Do you want to see more red flags? Here is the picture of Jamie Taylor with her two kids the woman who lost her job and started working online. Or is it really? Here is the same picture I found on Shutterstock. As you can see Jamie Taylor doesn’t exist, or at least she doesn’t exist as Jamie Taylor, she’s just a photo model. READ Affiliate Cash Club Review - Mad cash today or scam? So this system also uses fake testimonials and stock images. What they do is they find generic pictures and video and post them as part of their fake “newsletter” or advertorial as they call it! Like most of the very low quality and scam systems out there that I have reviewed before, there is no way of knowing what is it exactly that you are buying into. They claim that you can “generate multiple income streams fast“ and “it’s as easy as using Facebook, Google, and Twitter“, but how??? They also say that you get paid by Amazon, Overstock, and Alibaba, which is the only clue that it’s something about affiliate marketing. But what do you get when you enter the system? Your guess is as good as mine. These systems are focused on the money that they claim you can make, to make it very appealing, but they never explain what it is exactly. You have to buy before and find out after what you are in for. Any system that says nothing more than this is usually too good to be true! They make it sound so easy to make money online that people that buy the system think that there’s a magic button to push and make boatloads of money doing nothing. It’s this kind of system that gives the affiliate marketing industry a bad name and a bad reputation. And good luck trying to get your money back on this one if you do decide to join them and give them ALL of your information, including your phone number and full address!!! There is nothing anywhere on the web page that says that you have a money back guarantee. To make it really simple, Easy Cash Concept only works for the people behind the system, not for you to make money. If making money online was this easy, everybody would be doing it! And they would all be millionaires! And where is the owner(s)? There is no sign of the owner anywhere. Why is he(she) hiding? I strongly suggest that you stay away from this very suspicious and misleading system. It will definitely not live up to it’s $12,000 per month claim! It usually takes me a lot to call a system a scam, but this one deserves the title! It is a total scam! There are way too many red flags and too many lies to be a legit system! Just a few years ago, I was like you, searching hi and low for a quick method of making money online. I eventually realized that it simply does not exist! The get-rich-quick methods are not real, all they do is they provide themselves with riches from your hard-earned money with their hyped-up lies and fake testimonies. However, there are real ways to make money online. I found a platform that is just that: “Real”. It’s NOT a get-rich-quick method, but it is very lucrative once you have a solid foundation and you build your business from the ground up as I did! Basically, all you do is you promote other people’s products and earn commissions from the sale of the product. All of this on a website that anyone can easily create. It is very legitimate and it’s a very true and honest way of making money online. What you will eventually find out (like I did a few years ago) is that to make a full-time income online requires time and consistent effort, and I am very grateful that I found a method that works! Anyone who is willing to put in the necessary work will eventually succeed, and if your goal is to be financially, then this method will show you how to create passive and recurring income! That is the secret sauce of Affiliate Marketing and making a full-time income online. And anyone can do it, all you need is desire and persistence! If you are ready to start an online business from the ground up, and you want to test the platform first, well I have good news for you. 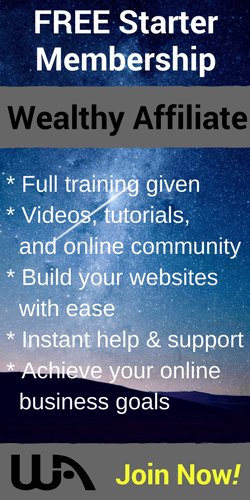 Wealthy Affiliate will provide you with everything you need! There are no obligations, no credit card required and nothing to pay. 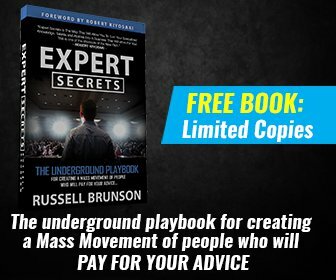 You can try the platform absolutely free and they will provide a 10 lesson training along with 2 free websites of your own (that you can keep forever) to get you started! What are you waiting for, check it out for yourself by clicking on the button below. And as a bonus, I will be there with you every step of the way as your personal coach. I am certain that if you follow the training as I did, you will also succeed. In it, you will find a step-by-step method of how I do it, how I make money online. If you have any questions or comment, please feel free to leave them in the comment section below! Thanks Denis, The name of the website and your subheading – Can you really make $12,000 per month from home? – really got my scam bells ringing.Thank you for your thorough review, I really like how you’ve taken the time to point out all the red flags. The fake testimonials and stock images are appalling. What sort of authorities should you report this to for it to be taken down. Can you please post here as I’d like to know if I find dodgy sites like this one. Thanks again for your review! Unfortunately, unless you have been scammed yourself and want to report them to the Better Business Bureau, there is not much else to do but to expose them for what they really are! This system is probably one of the worst I have seen so far. If you get in and give them all your personal information, you are in for quite a ride! Better unplug or turn off your telephone too! And good luck trying to get reimbursed! What I recommend is a platform like Wealthy Affiliate! They will provide everything you need to get you going, no credit card required! Give it a try, you will not regret your choice! Thank you for sharing with us this great review on Easy Cash Concepts.Many online programs are said to help people make money online.I agree with you that easy money doesn’t exist,if it existed many online affiliate marketers would be rich. This platform is not legit because even if they pretend to help people make money online,they make money themselves from people who try their platform. I also agree that it is too good to be true and I will not fall for their tricks. Thank you for exposing them for what they really are. Thanks Julienne for dropping by and sharing your thoughts on this system. You are right it is too good to be true and I would not recommend this system to anyone! If you are looking for a real way to make money online, then you should register with Wealthy Affiliate . They will provide you with everything you need to get going and succeed! It is my No.1 recommendation! This is a very good review. I liked the way you called out easy cash concept for what they are. They use fake images, screenshots and other fake stuff on their site. The funny part is how they come up with $12,000 per month. No explanation on the daily earnings or methods of achieving it. They are just looking to run away with unsuspecting customer’s money and card details. I will stay away from this one and check your recommendation instead. Thank you! Go ahead my friend and check out Wealthy Affiliate. You will not regret your choice. They are the real thing, and they will provide you with all the tools and training you need to really make money online. Thank you for stopping by and giving your opinion. This is becoming more of a trend these days because these people now realize that a lot of people are becoming alert to websites that does not look legit so some of them these days are actually putting in the work to build a web page that looks legit to be able to make people loose their guard and then when you enter into the program you find out that it is nothing to write home about. The part that always makes me angry from these online systems are the ridiculous claims that someone just starting out online would make thousands of dollars in a few days. It is just ridiculous and rather unfortunate that a lot of people fall for it. Well at least Jay, you did not fall for it and that was my main objective here. These kind of system to lurepeople and get their personal information are the lowest of the lows when it comes to scamming people. I am grateful that you have found my article of value. Good hunting. 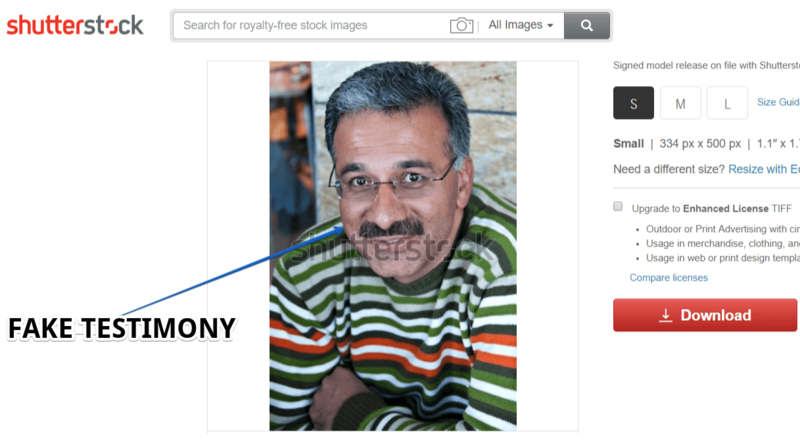 Why would somebody use shutter stock photos on their website when searching for such pictures is so easy. Thanks for the great review on this easy cash concepts. It’s always something new coming out, I sometimes wonder do these people not realize how much the Internet has grown as well how socially smart people have gotten. Of course there’s going to be the ones who are going to buy into it, especially if they’re desperate to earn money. Glad that you are here to dispel what the company is all about. Hopefully you will have saved many people much money after this really phenomenal review. Thank you from people like me who are always looking to earn an income online. I couldn’t have said it myself! That is exactly why I expose these systems, so that the people that want to know if they should get in or not have a better understanding of what they are looking to buy. Thank you so much for this post, it is really helpful, I have come across this site before but I did not know they are not legit, because the site looks so real, but after reading your posts i have come to realize that it is truly a scam site. Thank you so much for this post it is a life saver, I will definitely share this article with my friends and family so that they can keep away from this scam site. I am glad that you have found my article of value to you and your friends. 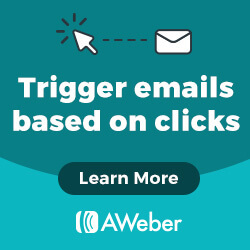 These types of site will not only get your personal information, but they will surely sell it to third parties and your will end up being spammed!!! Easy Cash is a new one, to me. I’ve seen a lot of similar offers, but not this one. Thanks for posting. I like how you were able to discover, with just a little bit of research (like a Shutterstock photo comparison), that this is a scam that’s running in high gear. This seems to be a typical example of “If it walks like a duck and quacks like a duck, it probably is a duck.” That is, with all of the red flags you’ve found, there’s so much smoke here, there’s got to be the stenchy fire of something that’s either not legit or too shady to take seriously. Thank you for sounding the alarm. This is one of the worst I have seen so far. It not only asks for way too much information, it doesn’t even tell you what it is you are buying. Just like buying a pig in a poke! Thank you for pointing out yet another scam in the online industry! Easy Cash Concepts looks like so many other sites I have seen and some that I have even fallen for in the past! Wow! Scammers don’t stop at anything to try to separate us from our hard earned money! Even the photos that they take from Shutterstock. What a sham! Thank you for doing this research. I figured they weren’t “real” people. Kind of like using the fake paid spokespeople in some other online junk I’ve seen! There is so much out there that is a scam. Thank you for calling this what it is! Is there a place to report sites like these? I look forward to your reply. Unfortunately Karin, the only thing we can do is expose them for what they are. They are “legit” to a certain extent. By exposing them, we can at least stop some people from falling for their fairy tale and get them not to purchase in the first place. Wow.. This is really an eye opener. Thank you for going through with this review to point people in the right direction. This type of scam is littered all over the internet. sometimes I wonder if there is no other genuine and clean way for these scammers to make a living. I have since learned the hard way that there is no easy way to make money online. You have to be patient and work hard. This is detailed and informative. Thanks Denis. You are welcome! This is one of the worst I have seen so far, especially asking for your full address and phone number! Never expose yourself that way, that is my main objective here, to expose them for what they really are! Thank you for taking your time to write this article. There are scams all around us, and it is important to be aware and to recognize this!You did a very good job! This image with mother and kids really looks like Shutterstock one, I already bought there some and I’m a designer, so usually I check this… but you see the ones they put on the testimonial are cut so that they look more natural and they don’t have the white background. Still, when you get the ’whole picture’ by looking at all of the elements on page, than you wouldn’t try this. I think that it is enough to click on one category – tech, media etc and see that button leads to some page that has no relevance to it. I’m sorry for saying this word – but it looks ’pathetic’. I don’t like people who steal from others and won’t invest their time honestly and try as much as many other good people do. Thank you for taking the time to comment on my article. I agree with you when you qualify this one as pathetic. It is one of the worst offer for a fake product I have seen. By exposing these fake sites I hopefully stop some people from buying them and giving them all their personal information. I can honestly say that Wealthy Affiliate sounds like a legit site and on the plus side, they allow me to test the product before committing my money to it, which I might add is most unusual. If it doesn’t work out and I am not completely satisfied then there is no further obligation. I will take you up on your offer. Yes this product has no value whatsoever. All it wants is your personal information and your credit card number. You have made a wise choice in trying Wealthy Affiliate as a free member! I really recommend you go through the training and setup your free website(s) and see where it brings you. It is a great community and you will learn all you need to build yourself a successful online business. I wish you a lot of success, and don’t forget to check with me when you are logged in, I am there for you!